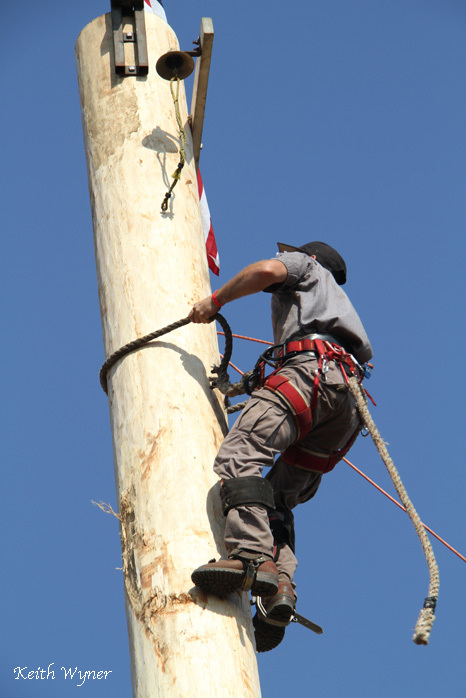 Get ready, here it comes – the action-packed Paul Bunyan Days Logging Show, always held the Sunday of Labor Day weekend. 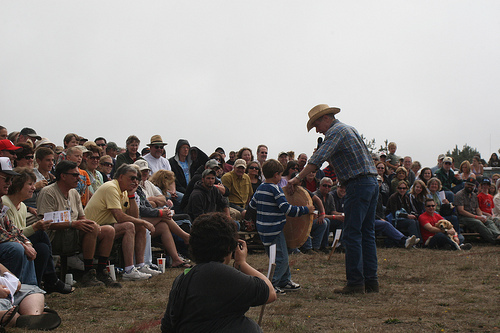 Men and women who live in Mendocino, Humboldt, Lake and Sonoma County compete for thousands of dollars in prize money! Download the Entry Form, Rules & Safety Requirements and Schedule here. If you’re an amateur logger residing out of the Four-County area you may be able to complete too. Just download, complete and send us the entry form and check the Out of Area box. A total of 10 amateur loggers from out of the area will be drawn from the entries received and allowed to compete. Out of Tri-County entries must be received by August 20 to give you and us enough advanced notice. If you’re a logger, here’s your chance to win serious cash – just by pitting your logging skills against those of your family, friends, and neighbors. Admission is $8 for adults and kids 12 and older – kids under 12 get in free. If you’re a woman logger, or just a lady who throws a mean ax or runs a fast saw, this is a chance to take home a big chunk of change. More than 1,000 people attend this exciting event on Sunday of Labor Day weekend. Competitors check-in at 9 am, elimination trials start at 10, the show starts at 12. Plus the prize money is BIG! Competitors can win 1st $200 / 2nd $100 / 3rd $75 / 4th $50 / 5th $25. for each event. Women competitors are usually scored separately – the ladies win big too. The Association provides the saws so anyone fast and strong can participate. And entry fees are low – only $15 per event, or $50 to compete in as many events as you’d like. The logging show demonstrates the roots of what built the town of Fort Bragg… don’t miss what’s quickly becoming a lost art.